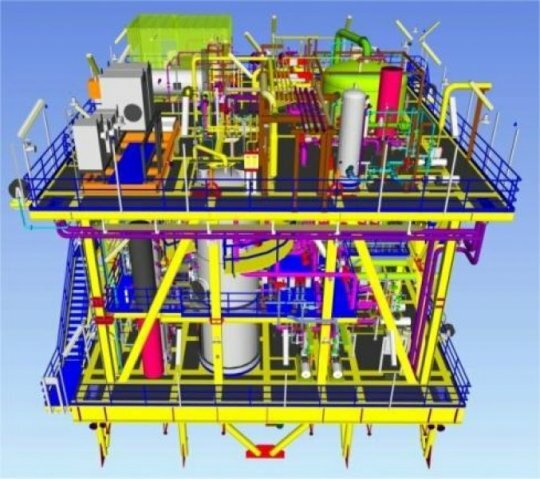 The project consisted in the design of a H2S removal unit to be installed on the FPSO SAIPEM “Aquila”. 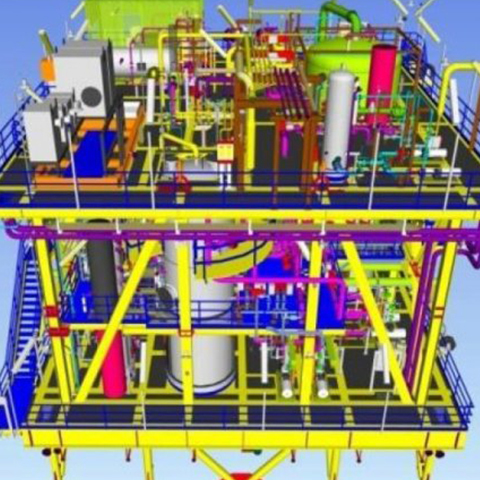 Lo-CAT® process is utilized to reduce the H2S content and produce resalable sulphur. Natural Gas (with H2S content reduced) is used for gas turbine combustion to produce electrical energy and for production of steam from a steam generator. The module is completely integrated and single-lift type with a weight of 407 ton. DG Impianti Industriali S.pA. provided mechanichal engineering (equipments, piping, vessels and structures), electrical & instrumental engineering and procurement services.